Re-digging ancient wells is key to what God is doing for the future. 2018 is the right time to walk in the fullness of all that Jesus died to give us. Spokane,Washington, is the right place to experience that fullness. 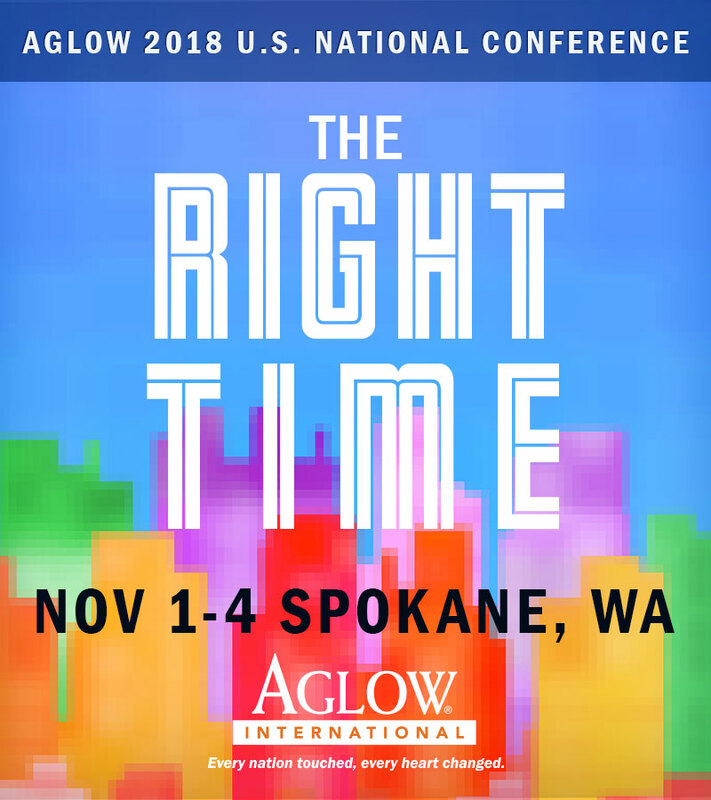 Mark your calendars and plan on joining us in Spokane. More details to follow in the weeks ahead. This heart was on the ground in front of the registration building June 18, 2017 during the Aglow International North Central Regional Rally. There had been a lot of prayer for the healing of the heart. The Lord has healed the broken heart. No more cracks. The pain is going down the drain. The Lord has fashioned, oh my Love, a brand new heart for you. Yours was broken; many pieces, and I’ve found them all. “Who may ascend into the hill of the Lord, or who may stand in His Holy Place? Diane has served on the Aglow International staff since 1988 and is part of the Leadership Team at the Worldwide Headquarters. Currently, she is serving as Director of the Middle East, giving oversight to the work of Aglow in that region and working with Aglow leaders in that part of the world. She also serves as the Director of the Aglow Institute of Ministry – AIM – and in that capacity, has developed curriculum and courses for the online education program for the ministry. AIM provides an accessible and affordable means for women and men to continue to grow in developing leadership skills as well deepening their personal relationship with the Lord. 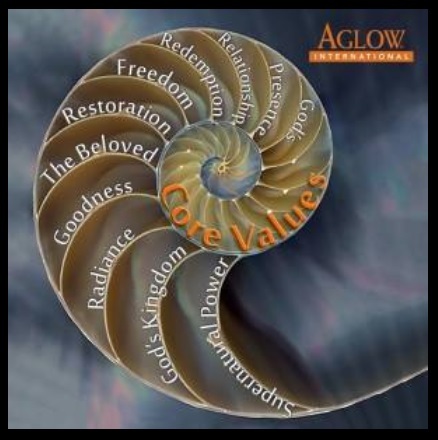 She has written two studies for Aglow: Honesty – Pathwayto Holiness, Key to Relationship and Your Identity – God’s Self Portrait, as well as various teaching materials and articles. The latter study was expanded and updated and released as a book, True Identity, and is part of the AIM curriculum. An ordained minister, she is equally equipped in teaching and prophetic gifts, and for many years headed the prophetic Word/Gift Group at Aglow conferences. Diane brings a wealthy background of solid biblical teaching, as well as more than 30 years of experience in walking out the principles she teaches. From retreats to conferences to small groups, she has ministered throughout the United States as well as over 17 nations overseas, seeing God faithfully draw others to respond more fully to His love and to experience a new dimension of relationship and healing, from the inside out. Diane enjoys serving in her local church and has been part of the teaching team for prophetic schools and conferences, in Wagner Leadership Institute, imparting and encouraging others in their gifts. She serves as an Adviser for Sought Out Global, a prophetic ministry whose goal is to provide opportunities for personal encounters with the Holy Spirit in real and tangible ways. Diane also serves on the Board of Directors of Marked by Heaven, a ministry dedicated to helping and empowering orphans in Mexico. Damon accepted the call from the Lord and the journey began for him to be not just a worship leader but a seeker of God’s presence. His passion and desire is to take you into that intimate place of worship that ushers you in the very throne room of God. As Damon says often, ‘There is nothing better than being in the presence of the Lord’. Damon’s call to worship and ministry began when he was a child. His parents, who are also pastors, played a significant role in his passion for Christ and for the church. Going to church, worship music and biblical teaching was part of his life while growing up. In his school years, Damon took piano lessons and was involved in band and show choir, not realizing that God was preparing him for what he would be doing later in life. Through the years, God has touched Damon’s life many times, revealing the Father’s heart with amazing love, forgiveness and miracles that would set him on a course for what God would have him accomplish for the kingdom. Meal packages for 1 night: $35.00/ two nights $57.25. If individuals plan to arrive after 6:00 pm on Friday, they may drop the Friday night meal. However, this should be arranged with the Center at the same time the room reservation is made. Call Green Lake Conference Center at 1-920-294-3323 to make room and meal Reservations by May 8th. (Remaining rooms will be released after May 8, 2017. Registration will remain open up until the event with only a few seats available. April 7th: 7:00 p.m. to 9:30 p.m. – April 8th: 9:00 a.m. to 4:00 p.m.
as Aglow Israel Education Director and also the Director of Watchmen on the Wall. This is a powerful seminar that moves you to a deeper love and understanding of the land. What is Watchmen on the Wall? Watchmen on the Wall is designed to educate and equip believers by providing them with a Biblical framework for understanding and accurately communicating issues regarding Israel, past and present. The program is a valuable tool that enables intercessors to pray more effectively for the issues facing the land and people of that nation, and to speak up knowledgeably about Israel and the Middle East. A primary focus of the Watchmen on the Wall study/prayer program is a series of seminars held in various regions of the U.S. and some other nations. Seminars are scheduled according to popular demand and requires a minimum of 35 attendees. Each attendee is given a manual in binder form containing curriculum written by knowledgeable and seasoned Christian leaders who have a heart for Israel. The material is presented during the lively seminar workshops, where current events and relevant video clips are interspersed throughout. Whether you are just discovering God’s heart for Israel or you have been “on the wall” as a seasoned intercessor for years, you are in for a special time as a Watchmen on the Wall participant. North Central Regional Rally May 31 - June 2, 2019. To leave a prayer request – click on “Leave a reply” in any of our posts and type your prayer request.